The school maintains its viability as an institution because its mission and purposes are clearly understood and supported by its constituency. The admissions policies are designed to admit families who desire and support the philosophy, purposes and standards of the school. The mission of Lakeland Christian School is to educate students in the light of God’s Word to equip them for a lifetime of learning, leadership, service and worship. Students are encouraged to place their faith in Christ as their personal Savior and to interpret all of life from a biblical perspective. The Christian home is one in which the knowledge of the scriptures and application of biblical principles are a priority. 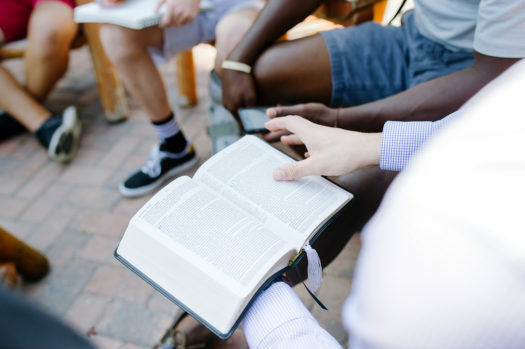 A commitment to Christ and to spiritual growth is evidenced by personal Bible study and prayer and by faithful participation in a local church. Parents endeavor to apply biblical principles in the raising of their children. LCS is committed to the definition of marriage as being an institution established by God between one man and one woman. Local, evangelical churches are an essential part of the Christian’s spiritual growth. They recognize the scriptures of the Old and New Testaments as the only infallible and inerrant Word of God. These churches demonstrate this commitment by placing a priority on the preaching and teaching of the Bible. Since a biblical commitment to Christ is always accompanied by a commitment to His church, it is expected that every LCS family will faithfully attend a church that will meet its spiritual needs. Students are expected to participate in children’s and youth activities. Christian education begins with the premise that all truth is God’s truth. God has revealed the truth about Himself in the scriptures. We discover truth about His creation as we diligently study the natural world and the intangible truths within creation. A high quality, rigorous curriculum is provided with a sense of high expectations in order to encourage the students to develop their God-given gifts to the fullest. When our students place their faith in Christ as their personal Savior, it conveys their understanding that a relationship with God is established by God’s grace through personal faith in the work of Christ on the cross. The gospel shapes our relationship with God and with our fellow man.